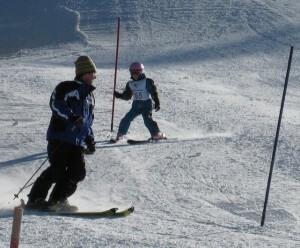 Race coaching for skiers of all ages. Kris Buttenberg is a true mountain enthusiast, USSA coach and active Masters ski racer. Stepping foot on the mountain is the goal of our teaching sessions. Mountain Lessons are ONLY available to existing clients that have gone through our program. The Biste Method will prepare you for any mountain. 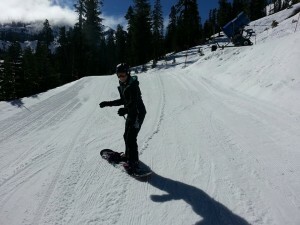 Transition lessons add an experienced coach and guide that understands the training techniques you have gone through in order to safely and easily transition that knowledge to snow. For those that want no surprises when they hit the slopes our mountain transition program contains a full “on slope” course. Stepping foot on the mountain is the goal of our teaching sessions…mountain skiing lessons are ONLY available to existing clients that have gone through our program. The Biste Method will prepare you for any mountain. Transition lessons add an experienced coach and guide that understands the training techniques you have gone through in order to safely and easily transition that knowledge to snow. For those that want no surprises when they hit the slopes, our mountain transition program contains a full “on slope” course. Several of the skills in our training curriculum cannot be taught on the Snow Biste deck alone, they have to be experienced on the mountain. Deep powder, steeps and moguls can be incorporated into your specific program. If you’re planning a trip to Whistler to meet up with your old college friends, or a Mt. Rose skiing expedition is on the horizon and you need powder lessons, let us know. We’ll schedule time on the powder days to meet you on the mountain and extend your training to the next level. This program extension is available for our indoor clients as individual or group lessons. All of these “on slope” mountain lessons are by appointment only, and unlike the indoor Biste are subject to weather. They will be an experience you will not forget!